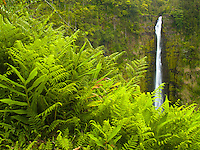 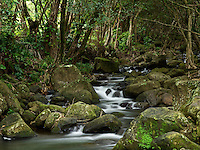 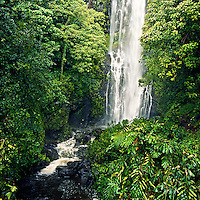 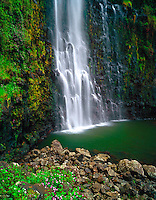 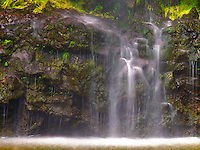 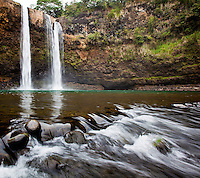 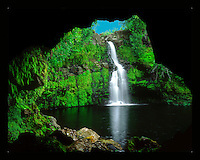 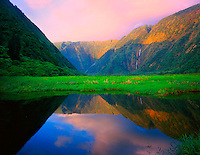 Wailele is the Hawaiian word for waterfall. 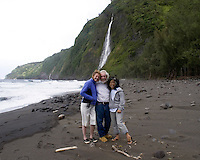 Here we take you on a journey to an array of wailele throughout the islands. 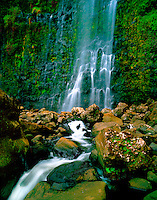 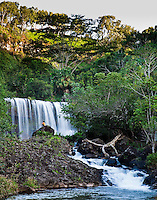 Kulaniapia Falls, Hilo, Big Island of Hawai'i. 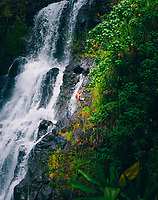 A woman enjoys the view at Uluwehi Falls, Kaua'i. 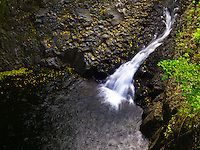 Lush Manoa Falls in Manoa Valley, Honolulu, O'ahu. 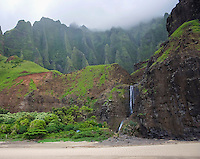 Kalalau Beach, Na Pali coastline of Kaua'i. 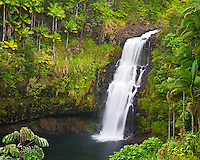 Pe'epe'e Falls waterfall, Hilo, Big Island. 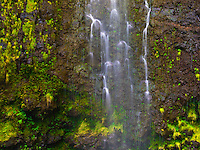 Maunawili Falls in Windward O'ahu.